Most products marketed as "gluten-free" still contain a tiny bit of gluten ... some more than others. And people with celiac disease and non-celiac gluten sensitivity can have very different reactions (or no reaction at all) to these trace amounts of gluten in our foods. If you find yourself experiencing gluten reactions to foods labeled "gluten-free," you may need to limit the amount of trace gluten in your diet. But how do you do that? First, you'll need to understand how these foods specifically marked "gluten-free" still are allowed to contain some gluten. You'll also need to learn how this trace gluten is measured, and how you might react to it. In the following table, you'll find major manufacturers of "gluten-free" products, plus the gluten parts per million (ppm) to which those products are tested. Note: products listed are reported as containing less than the stated level of gluten — for example a GF-10 product reportedly contains less than 10ppm of gluten, while a GF-20 product reportedly contains less than 20 ppm of gluten. Please also note that I haven't tested these products myself; instead, I'm basing this table on information provided by the companies themselves, plus data provided by organizations that provide gluten-free certification. Ben & Jerry&apos;s Ice cream and frozen desserts N.A. Company statement Ben & Jerry&apos;s will call out any gluten-containing ingredients on the product&apos;s label and works with suppliers to verify ingredients but does not test for gluten in its finished products. Breyer&apos;s Ice cream and frozen desserts N.A. Company reported Breyer&apos;s, a Unilever company, will disclose gluten-containing ingredients clearly on the label but does not test for PPM levels in its finished products. Breyer&apos;s does not label its products "gluten-free." Dove Chocolate chocolate bars, ice cream GF-20 reported by company Always read the label, as some flavors contain gluten. Dreyer&apos;s/Edy&apos;s Ice cream and frozen desserts GF-20 Company reported Dreyer&apos;s and Edy&apos;s will label products "gluten-free" that are considered to meet standards. Endangered Species Chocolate chocolate bars GF-10 GFCO-certified All flavors of Endangered Species chocolate are gluten-free. Häagen-Dazs Ice cream and frozen desserts GF-20 reported by company Häagen-Dazs says it uses gluten-containing ingredients only in obvious places, such as in Chocolate Chip Cookie Dough ice cream. Pamela&apos;s Products Baking mixes, cookies, biscotti GF-5 reported by company Pamela&apos;s reports that it tests everything to ensure it falls below 5 parts per million of gluten. Turkey Hill Dairy Ice cream GF-20 reported by company Turkey Hill marks flavors it considers to meet gluten-free standards with "gluten-free." Which Brands of Ketchup Are Safe When You're Gluten-Free? 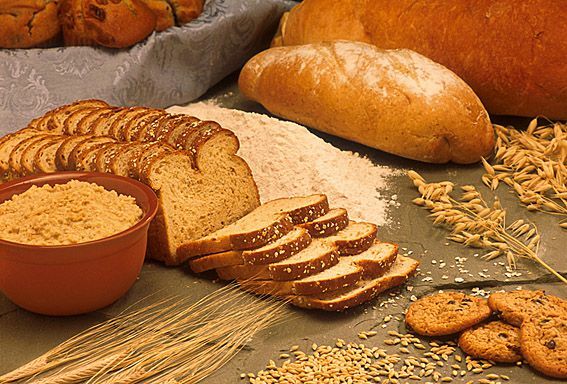 Gluten-Free Foods Made in Shared Facility or Equipment: Safe or Not?